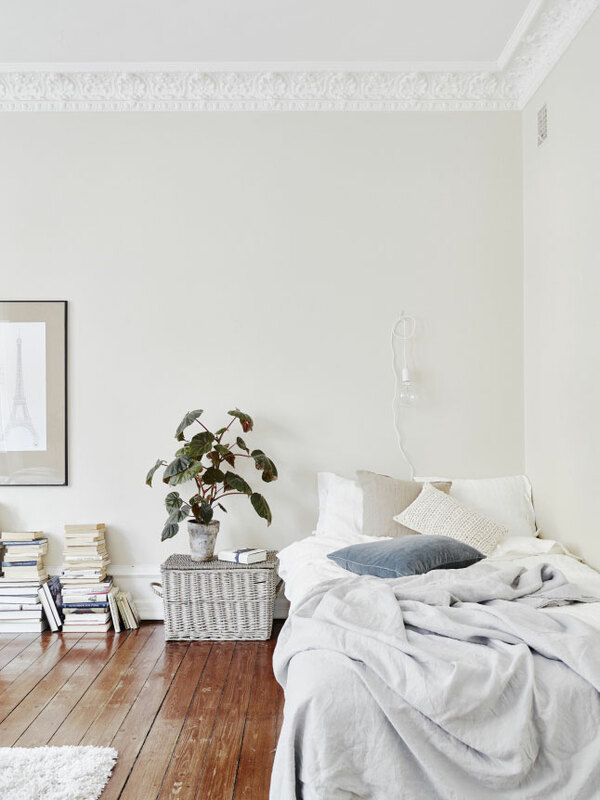 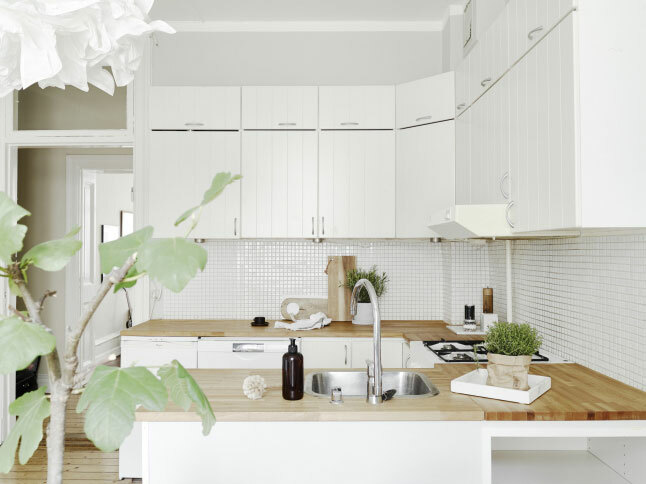 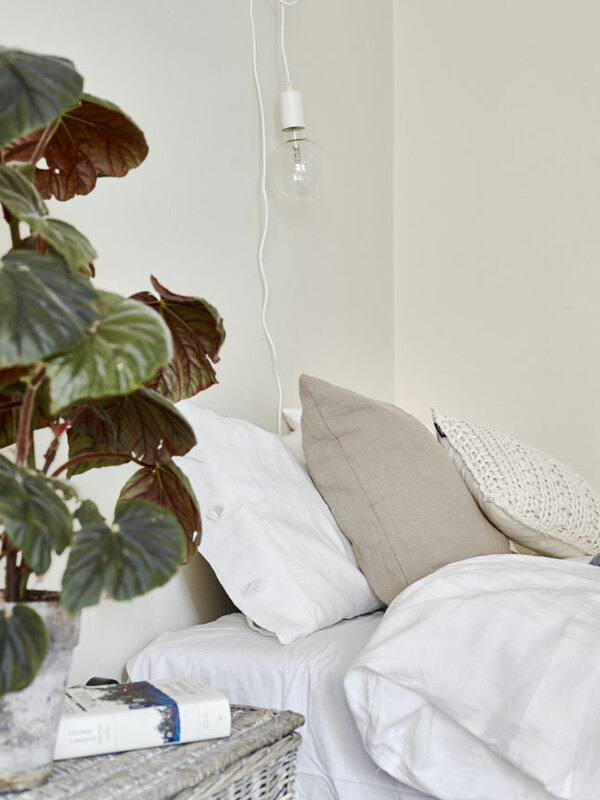 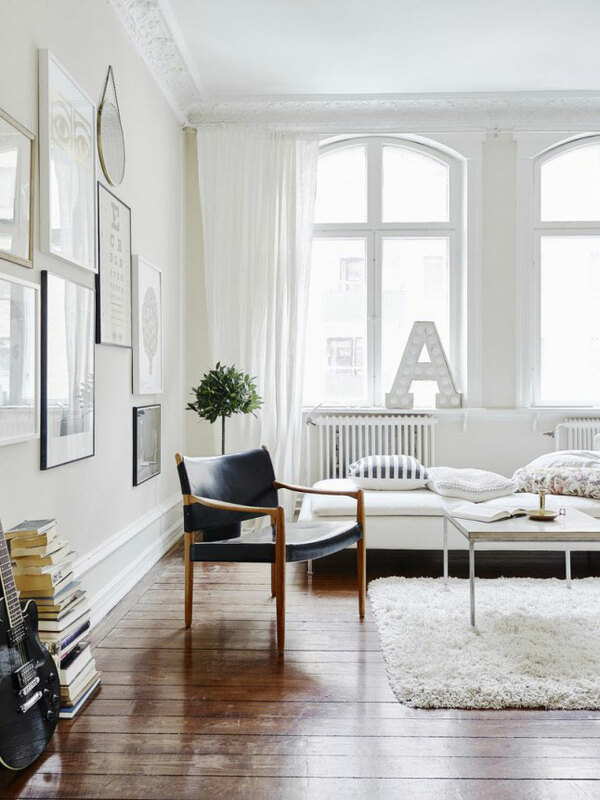 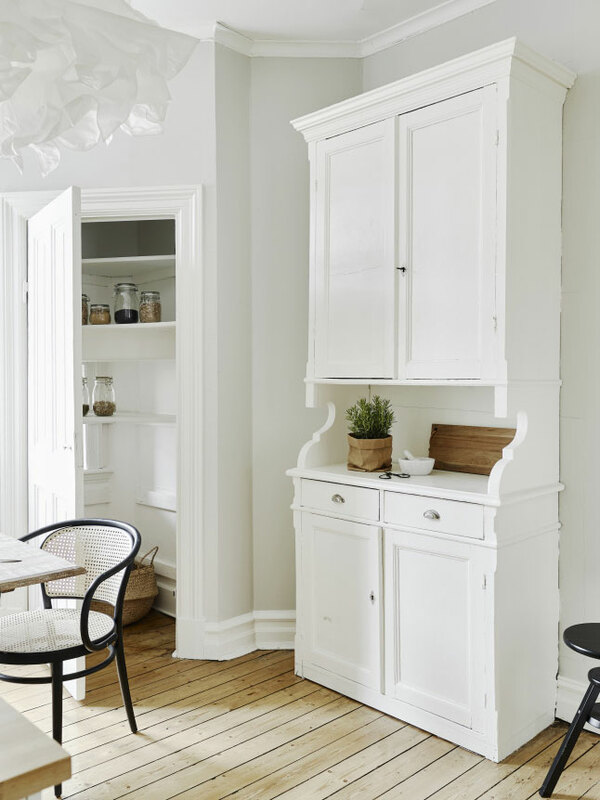 This 55m² studio apartment is so lovely! 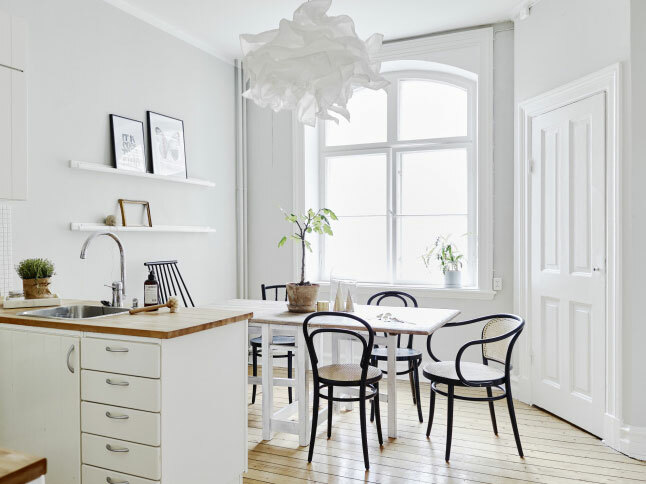 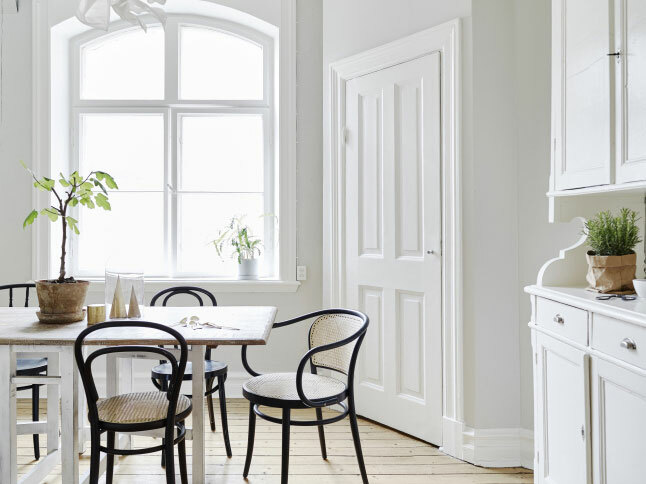 It is serene and luminous, with a clean, simple and understated look. 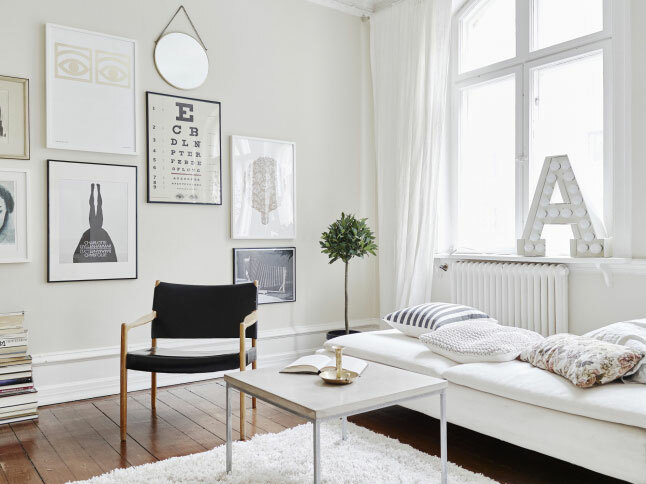 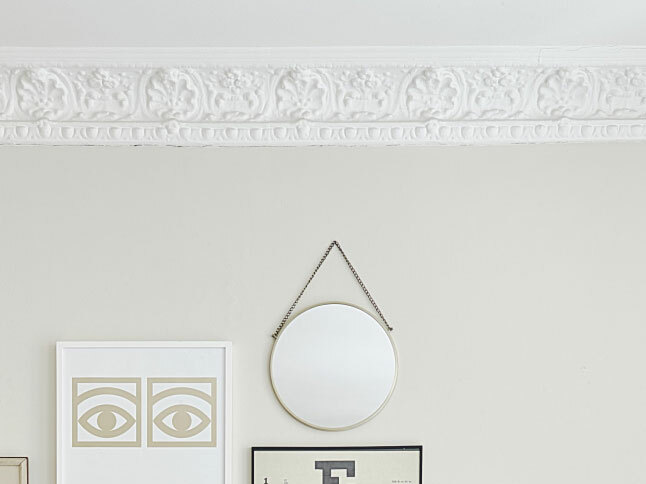 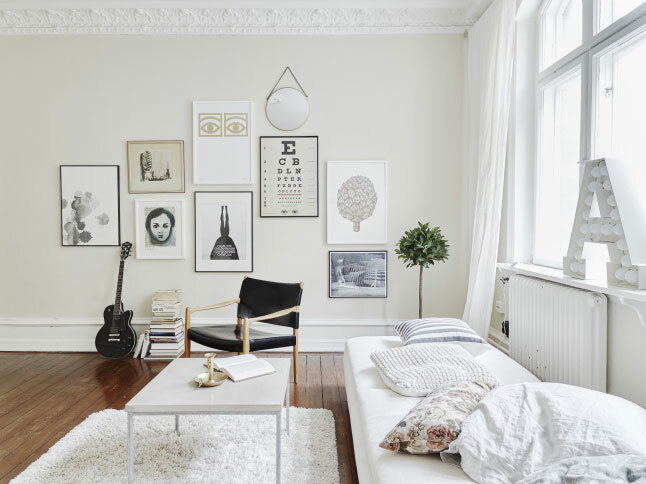 I love the contrast of the few black furnishings against the soft color palette: Greige walls, white mouldings, wood tones, brass details and the old books’ aged paper pages – It all creates a very stylish whole!